Victim of fatal pit bull mauling: Monica Renee Laminack of Ellebell, GA.
UPDATE 04/17/13: A mother charged with child cruelty in the dog mauling death of her daughter was in her bedroom studying for her GED diploma when the toddler was attacked by the family's pit bulls, according to her attorney. The child slipped into the backyard unnoticed through a doggie door and was attacked and killed by the animals. Yesterday, Summer Laminack was charged with second-degree cruelty to children, a felony punishable by up to 10 years in prison. Georgia law defines second-degree child cruelty as an act of criminal negligence that causes a child excessive pain, either physical or mental. Two other adults were at the home at the time of the attack. Sheriff Clyde Smith said the child's grandmother was taking a nap; authorities have not released what the third adult was doing. District Attorney Tom Durden said, "It was a very horrific event that happened." Durden plans to let a grand jury decide if the case should go to trial. Charges have been filed in the death of a 21-month old toddler killed by a pack of family pit bulls in Ellabell last month. Summer Laminack, 18-years old, was charged with second-degree cruelty to children in the death of her daughter, Monica Laminack, according to a press release from the Bryan County Sheriff’s Department. Her attorney, Tom Edenfield of Savannah, surrendered Laminack on Tuesday to the sheriff's department. She was released on a $5,000 bond. Laminack, along with two other adults and two young boys were at the home on March 27 when the family's pit bulls mauled the toddler to death. Bryan County Sheriff Clyde Smith said the adults were apparently napping at the time. At one point, the child's grandmother awakened and alerted family members to the attack, according to Smith. By the time any of the adults reached the child, she was already dead. Further action by the Bryan County Grand Jury is pending. Detective Donnie Thomas said, "It wasn't just a one or two minute ordeal. It was not one or two bites and the dogs went on their own way." Smith and Thomas provided WTOC photos of Monica's body after the attack to show how severe and possibly prolonged the attack was. 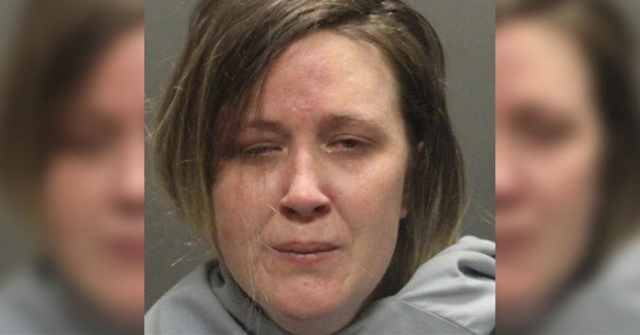 "The bite marks covered her entire body, the graphic photos even showing what appeared to be the tiny child's head nearly decapitated along with severe internal damage," reports the article. Byrancountynews.net reports more details about the news conference held Thursday morning in Pembroke. Bryan County Sheriff Clyde Smith said the child's mother, Summer Laminack, 18, grandmother, Michelle McIntyre, great-grandmother, Pat Asher, and two uncles, ages 14 and 12, were home at the time of the fatal dog mauling. Family members told Smith they "went to sleep" after returning from a store just after 5 pm. The 911 call was placed at 6:36 pm. Smith said that charges of child neglect would be the minimum that could be filed. Smith said he did not anticipate any charges being filed before the child's funeral. Smith only saw photographs of the young girl, but said that deputies and emergency personnel who responded to the scene were "very disturbed." Smith told reporters, "They said it was the worst they have seen. It was bad -- very bad." Bryan County Animal Control euthanized all seven pit bulls on the scene. 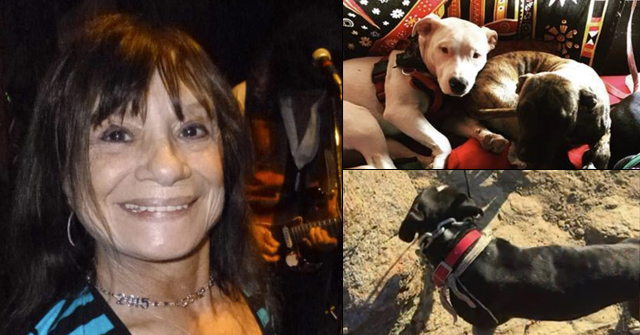 The young child mauled to death by her family's seven pit bulls has been identified as Monica Laminack. Bryan County Sheriff Clyde Smith said that when EMS arrived, the child was already cold, indicating she had been dead for a while. Authorities continue to question how the child ended up in the backyard alone with the animals. Speculation ranges from her 12-year old brother leaving her in the backyard to the child accessing the dogs through the home's doggie door. The seven dogs involved in the attack, all pit bulls, were put down at the scene. Two other dogs (not pit bulls) living at the residence and not involved in the attack were spared. A separate article reports that Smith held a news conference Thursday morning. Smith confirmed that the child crawled through the doggie door, apparently she had done so in the past. Smith said that he would be shocked if no charges were filed. Five people were in the home at the time of the attack. Smith added that four generations of the family lived at the home. Bryan County, GA - Bryan County police authorities are investigating the death of a 21-month old girl who was mauled to death by a pack of seven pit bulls and pit bull-mix dogs Wednesday night. Police say the girl's grandmother was sleeping when she was awakened by a commotion in the yard. She looked out and saw the attack, but was unable to save the child. All of the pit bulls belonged to the child's family and have already been euthanized Bryan County Animal Control. The child's identity has not yet been released. 1Authorities believe the child died at 6 pm, a half an hour before the 911 call. I smell grandmother charges. Unclear where the child's parents were. So the question is, a pit bull breeder or a no kill style pit bull hoarder? Another senseless death. How many more half to die before people are gonna get it. Pit bull terriers are six times more apt to attack people than other dogs are, Mark Paulus, a Humane Society official, told a House subcommittee considering legislation to control vicious dogs in Georgia. More than a half-dozen people testified Wednesday on the need to provide better control of dogs and stiff penalties for owners. Please inspect the Great Dog Fighting State of Georgia Pit DBRF map and note how the red DBRF balloons block out the sun in Atlanta. The Center for Disease Control is right in the middle of that mess! * Disclaimer…You Cannot Make This Up! "He said relatives insisted the toddler would play with the dogs and even "use them as pillows while watching TV." — Hmmm. Might be a new Maul Talk term. A quote from a news story. All the familiar pit bull symptoms. Killed another pet. Treated as "nanny dogs." (Think of how many pit bull lobbyists pose children climbing on pit bulls to propagandize, and then get the media to publish them.) Loved family pets that then just kill. "The family told deputies the dogs had never attacked a person, though one of them might have killed a cat, Smith said. He said relatives insisted the toddler would play with the dogs and even "use them as pillows while watching TV." I've seen a few instances now of the media posting that dumb Easter Pit Bull picture right alongside news of another death. It's crass and tone deaf. "LOOK AT THE SWEET PIBBLE AND HIS LITTLE SNACKS, I MEAN FRIENDS! Don't look at that story about another death." Well now, who is the nutter in this family? Seems like the 2 young uncles would not have been. Somehow I don't see the young mother of this little girl as the nutter, but she could be. It was stated that the Pits were a mother pit and 6 of her litter about 1 1/2 years old. In one of the pictures the little girl had on a top saying "Daddy's Little Girl" or something like that. That litter of Pits is about the same age as this little girl was. Where is the child's father? Were there any adult men living in the home? I looked at the facebook page of the child's mother and it doesn't appear that she or the child's father are the nutters. I'm thinking it's whoever that house belongs to. Who owns that home? Or better yet, who controls that home! 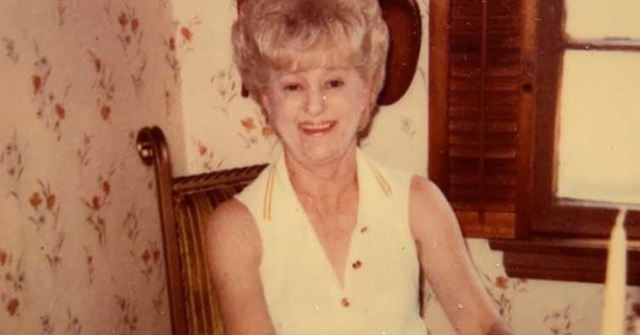 The young mother will get charged with child endangerment, but either the grandmother or the great grandmother may have owned the home and would have been like the "LANDLORD". The "McIntyre" name comes up a lot in the mother's Facebook friends, but not Michelle McIntyre. Also "Asher" does not come up on her friend's list (the two likely property owners). Charges may be filed against all adults at the home at the time, so this information is likely forthcoming. Here it is: The property owner is Russell McIntyre. Here is a video of four pit bulls killing a fifth pit bull housemate. That part starts at about 35 seconds. It might be useful to post this here and there, ask people to imagine it's the toddler — because this is exactly what the killing of the toddler would have looked like. I think people can't imagine the horror of it. Images help them get it. Caution: Maybe don't watch this if you or a loved one has been mauled. It's awful to watch even though the victim is another pit bull. Gotta wonder about all of the missing males from the household. I think the story by the women is trash (clearly the police don't believe it either). I wonder if they called one of the males (familiar with yard accidents)and asked, "What should we do?" Then they concocted this crazy story that all three women were asleep (at 5pm). The baby was cold, story farfetched, no males on any horizon. You can't have four generations of a family living in a home without an adult male somewhere. Very odd and suspicious. "Det. Thomas and Sheriff Smith wanted to show me the pictures of Monica's body after the attack to give me a better understanding of how severe the attack was, and how appeared to be more prolonged and drawn out. The bite marks covered her entire body, the graphic photos even showing what appeared to be the tiny child's head nearly decapitated along with severe internal damage." Maultalk's entry on "use them as pillows" with regard to pit bull lobbying really shows a textbook case in how propaganda is used. The educated propagandists at the top of the pyramid spout the cliches, and then the underlings just repeat mindlessly. It's sort of like mynah birds repeating phrases that their masters drill into their heads. Especially when you realize the mother of the two year old is only 18, so "grandma" is probably not what one thinks of stereo-typically in age. I would guess she is possibly in her 40's. I would like to know what kind of adult family falls asleep at 5 PM. Things do not add up at all with their story. In reading the comments in the last link above, its no wonder emergency responders were traumatized. 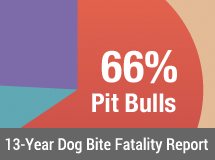 Still no product recall on pit bulls and seven people are dead by them in the first three months of this year. The mother removed her Facebook page: https://www.facebook.com/summerlaminack94 But not before it was scoured by media outlets. Maybe there's hope on the horizon.